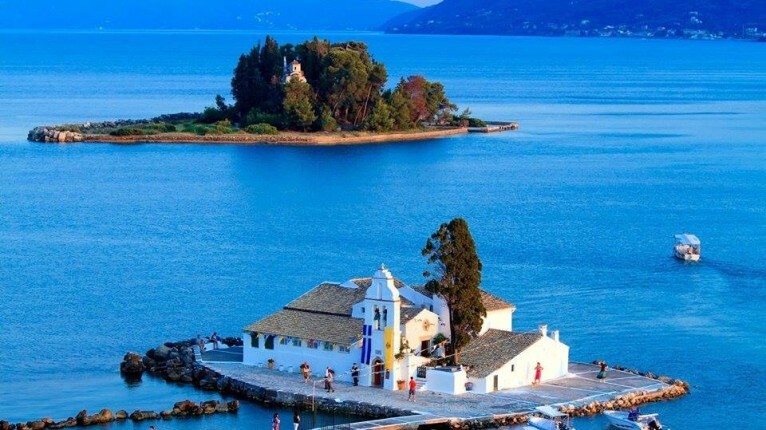 Pontikonisi (or Mouse Island) and the Vlacherna Monastery are located very close to Corfu airport and are perhaps the most photographed spot on the island – this is the image that immediately springs to mind when one thinks of Corfu. 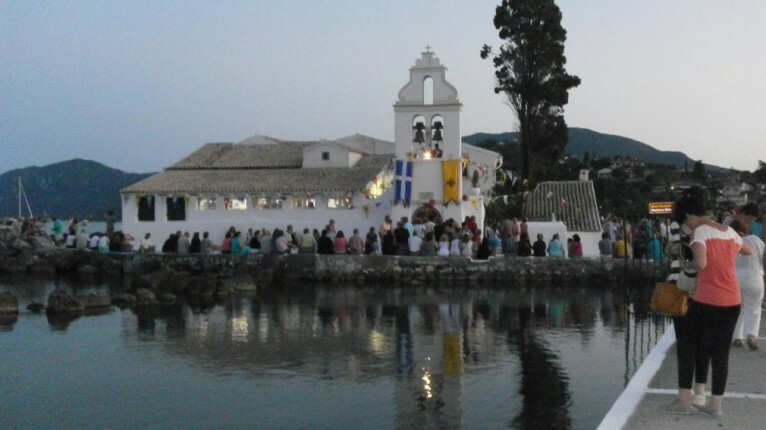 The 13th century Vlacherna monastery can be reached by walking down from Kanoni – the hillside area on the outskirts of Corfu town or alternatively by walking across the Causeway from Perama. From here you can take a small boat across to the tiny ‘Mouse Island’ Here, surrounded by cypress trees is a small 12th century Byzantine chapel. 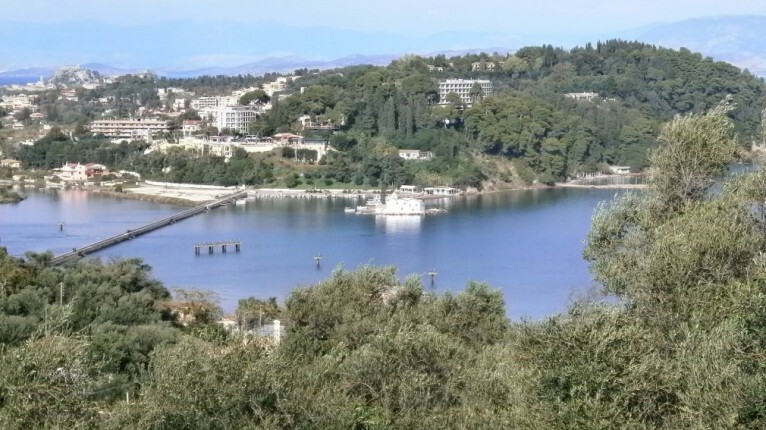 A boat taxi service runs every few minutes throughout the summer. The end of the runway of the airport is only about 100m from the monastery making this the ideal place for plane spotting – if you are standing on the Causeway when the aircraft are coming in to land you can clearly see the faces of the pilots!